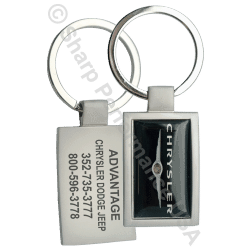 Compact and contemporary this unique keychain will keep your brand an essential part of your customers day. 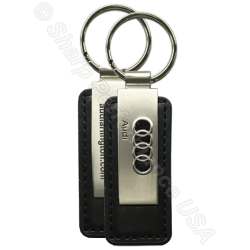 Our heavy duty steel split rings keep keys and remotes securely attached to the convenient swivel connector. 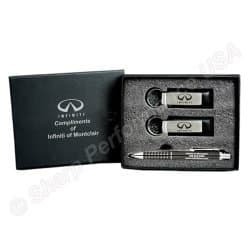 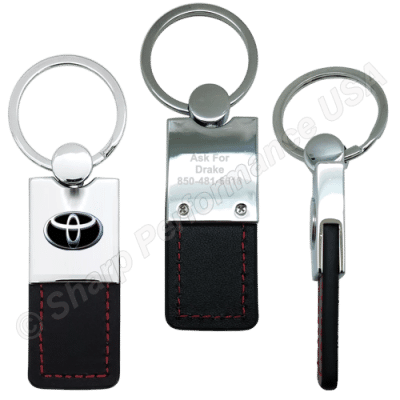 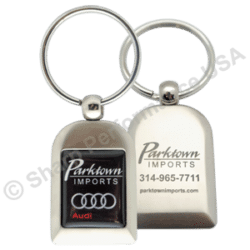 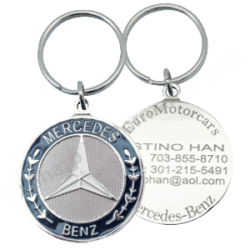 Customize the look of this key tag to best represent your business or organization with our striking 3D imprint process. 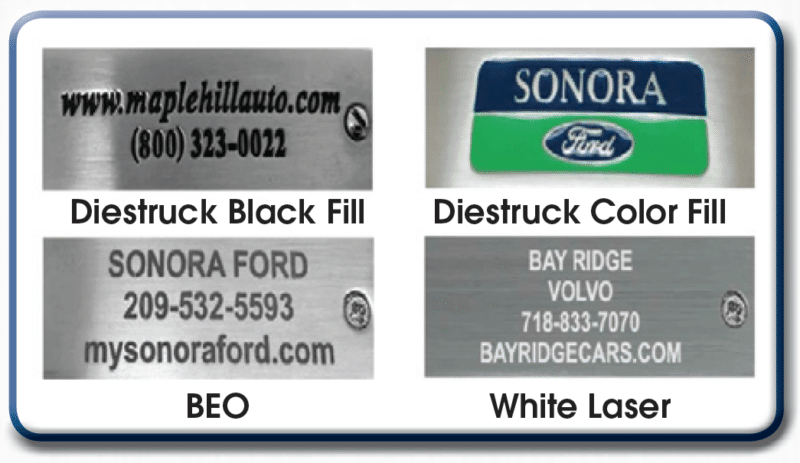 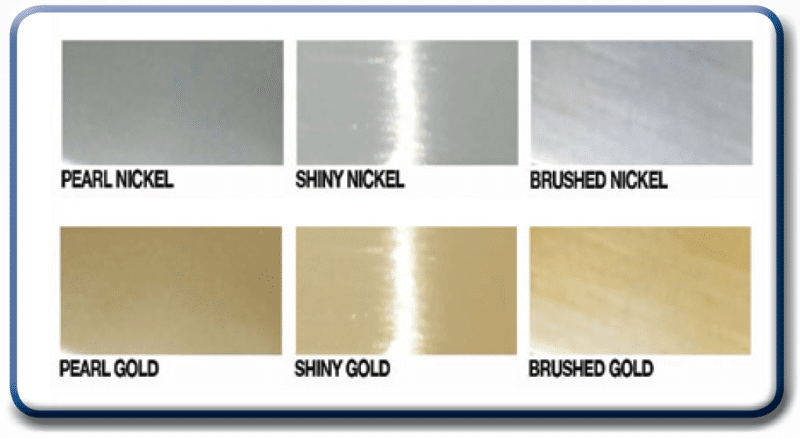 Also available with engraved, etched or die-struck color filled imprinting methods. Our leather is available in a variety of colors and color contrast stitching will complete the look of your custom keychain.